One of the orphans we met in Mozambique suggested we call this new place "A Nossa Casa," Our House. A perfect name because we want them to have a place of their own. Reencontro, meaning "reunion," is a non-profit organization created in 1998 by a group of women of good will that decided to join efforts and support the many children left without their parents because of the HIV/AIDS epidemic. 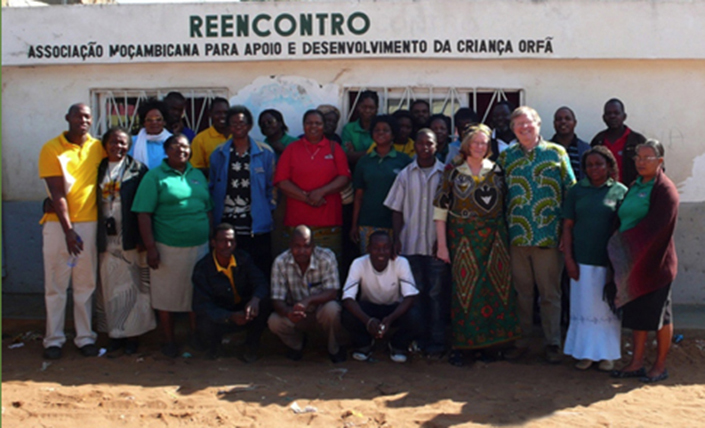 Reencantro currently consists of over 7,000 children orphaned by AIDS in Mozambique with education, health services, preventative education, professional skills and income generation empowerment, food and nutrition. They are amazingly well organized and cover a lot of territory. Empowerment is the key to success for these emerging adults. At fourteen, Armindo is the head of his household. He would like to earn income to support his family while continuing with school. This is important. To this goal, Reencantro has a "Head of the Household" vocational training program. Without this training many adolescents faced with the burden of supporting their family drop out of school and fall prey to opportunists who may steer them toward a life of crime or prostitution. 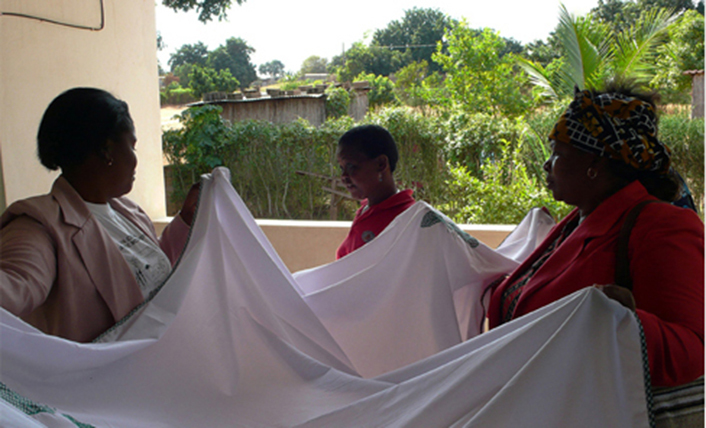 Xai-Xai Reencantro staff reviewing handy work from their sewing program. “A Nossa Casa” is a center for children orphaned by AIDS-HIV. It will be located in Mozambique. The fundraising for this project is being done by the African Millennium Foundation. We are currently in the concept design phase of this worthwhile project with Pali Fekete Studio. 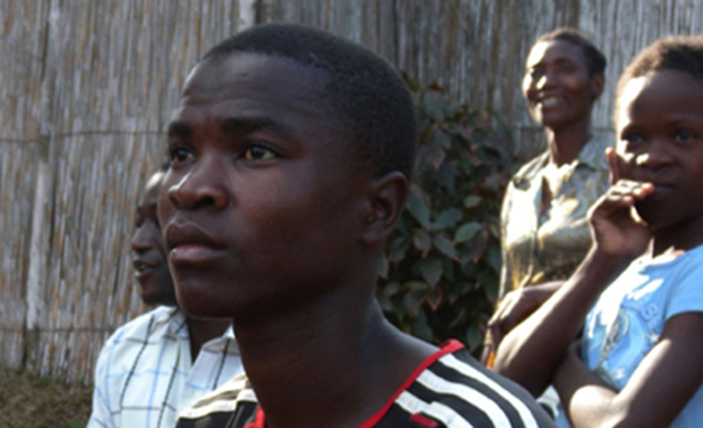 There are approximately 500,000 children orphaned by AIDS in Mozambique alone. The situation has gone far beyond the ability of local communities and families members to cope with it. Polly Osborne Architects has donated their time to work on the development of an Orphans Center that offers a safe haven for children to live and go to school. It also offers the community around it a place to gather and take advantage of the adult education program and the health clinic. Integral to the concept of “A Nossa Casa” is the idea that the community and the orphans together will overcome their struggles, through health, safety and education. 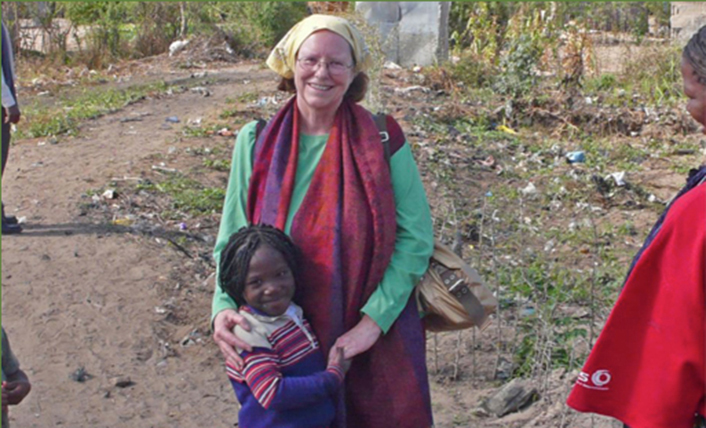 Polly traveled to Mozambique to study the site, meet the care givers and meet the children. She came away convinced of the importance of this project and delighted with the intelligence and dedication of the Reencontro, the organization that will run “A Nossa Casa”. We hope the idea of an orphans’ center combined with a community center will take hold, becoming a prototype for future projects of this type. You can donate on African Millennium Foundation’s website (http://1amf.org/projects_nossa.php). Be sure and designate your contribution to A Nossa Casa.